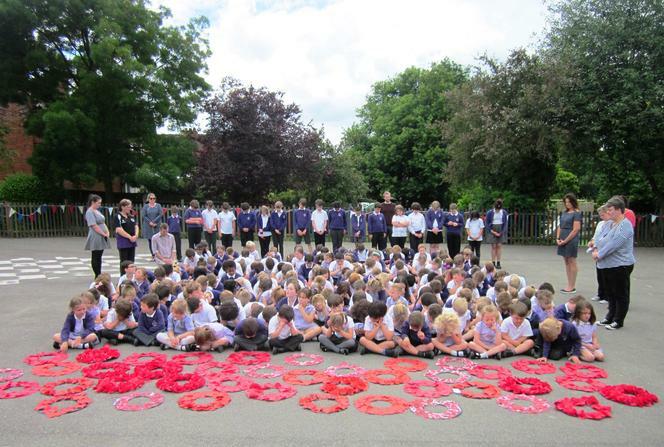 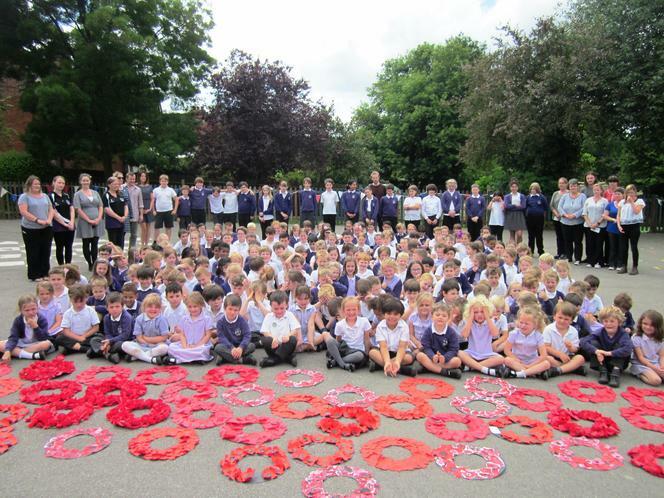 On Friday 1st July, the whole school commemorated the 100th Anniversary of the Battle of the Somme. 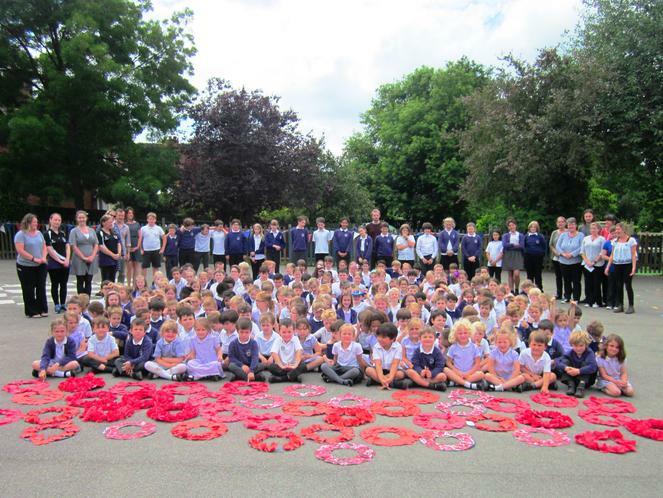 All classes took part in making poppy wreaths, studying and writing poems, producing related art works, and looking at diary entries and newspapers from the time of WW1. 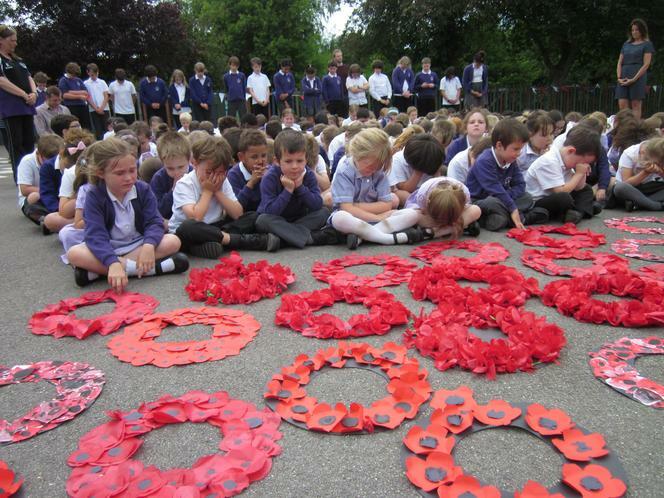 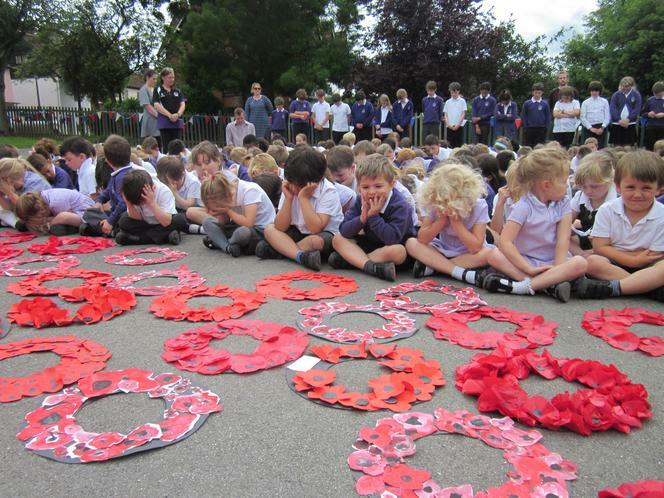 A minutes silence was held in the playground in the afternoon.